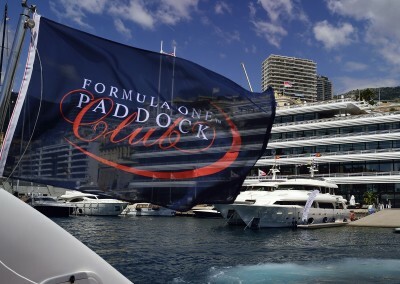 Enquire now for a quotation on our tailor made Monaco Grand Prix Packages and Paddock Club tickets and hospitality. Enquire now for a quotation on our tailor-made travel packages and ticket and hospitality options. The Monaco Grand Prix is a race weekend that exceeds all expectations – the most impossibly glamorous event of them all. F1 cars roar around the narrow street circuit beneath the hills and buildings overlooking the bustling port of Monte Carlo. Yachts the size of ocean liners lie offshore on the twinkling blue sea. For one magical weekend a year when the Formula 1 circus comes to town this tiny principality is transformed into a breathtaking arena of excess. Contact us today to find out more about this glorious city and our Monaco GP packages. Each year, just as summer is starting, Monaco comes alive, as the streets around Monte Carlo are transformed into a racetrack, and the Formula 1 circus comes to town. The Monaco Grand Prix is special. 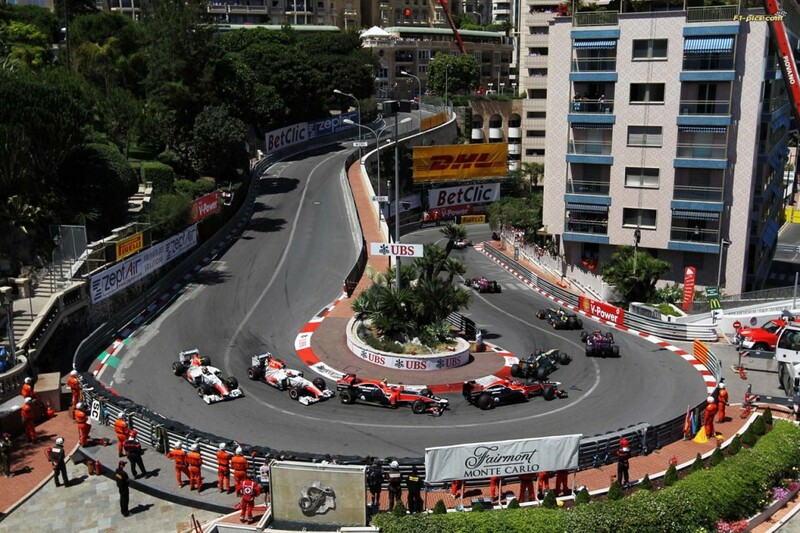 For a start, the race takes place on the streets of Monaco, not on a purpose-built circuit. It’s not the only street circuit on the calendar, but it is the oldest, hosting a Grand Prix every year since 1929, and having been part of the Formula 1 World Championship since 1950. The other two street circuits in the Azerbaijan capital of Baku and Singapore are both relative newcomers, having held the first F1 Grand Prix in 2016 and 2008 respectively. The Monaco Grand Prix is also the only current F1 race to form part of the Triple Crown of Motorsport. This is an unofficial motorsport accolade that has only ever been achieved once, by Britain’s Graham Hill, and involves winning the Indianapolis 500 and the Le Mans 24-hour race as well as the Monaco F1. 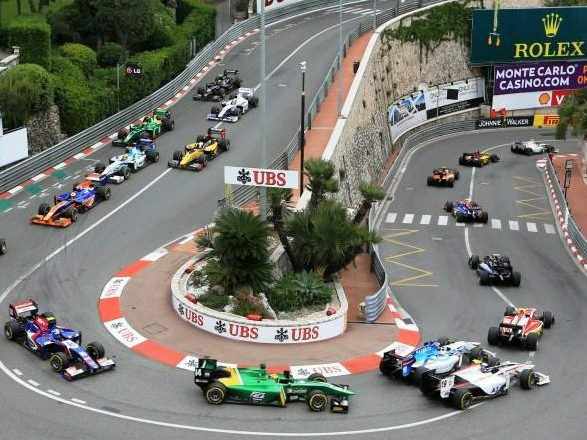 ‘Le Grand Prix de Monaco’ is also regarded by both drivers and pundits alike as probably the most challenging race of the Formula 1 season, and it has become famous for providing a racing spectacle that thrills everyone from the casual observer to the avid F1 fan. 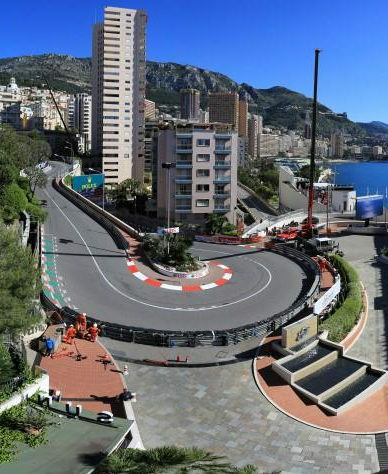 From its iconic corners like La Rascasse and the Fairmont hairpin, to the famous Casino Square and the spectacular tunnel straight leading into the tight chicane, almost every aspect of this incredible street circuit is famous in its own right. As well as its undoubtable appeal to the fans, the circuit, and the whole Grand Prix weekend, are also big favourites of the drivers – and who can blame them. They get to show off their skills on one of the F1 calendar’s most challenging tracks, in one of Europe’s most stunning locations, watched by thousands of adoring fans – and a few billionaires on their private yachts. 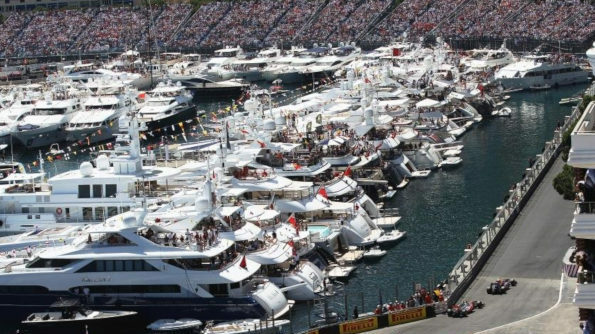 The Monaco Grand Prix epitomises the glamour of Formula One, and for one incredible weekend each year, it is the place to be seen – whether you’re a diehard petrol head or not. And for those who may not be as fanatical as most about the motor racing, Monaco still has plenty to offer to make a short break over the race weekend appeal to any traveller. If we’ve got you dreaming of blue seas and fast cars, read on to find out more about our Monaco Grand Prix packages. Perfectly situated in the heart of the French Riviera, anyone looking for a distraction from the motor racing isn’t going to be short of options. Those with luck on their side, or just deep pockets, could spend some time in the famous Casino de Monte Carlo, rubbing shoulders with the (very) rich and famous. If gambling’s not for you, or if you fancy something a bit more sophisticated, the Opera de Monte Carlo offers a variety of performances during Me summer. And for a memorable dining experience, you can enjoy dinner at the Cafe de Paris, one of the most popular places to eat and be seen on the Riviera. The entertainment doesn’t stop when the day’s racing is finish. either. The Monaco nightlife during the Grand Prix weekend is something that has to be experienced to be believed, and almost as good a reason to visit as the motor racing. From pop-up bars around the circuit, to parties onboard the biggest yachts in the harbour, you won’t be disappointed. If you’re looking for something a little slower pace, Nice is only a 20 minute train ride away, and the perfect place to enjoy some time away form the band Prix build up, or as a base for your weekend. 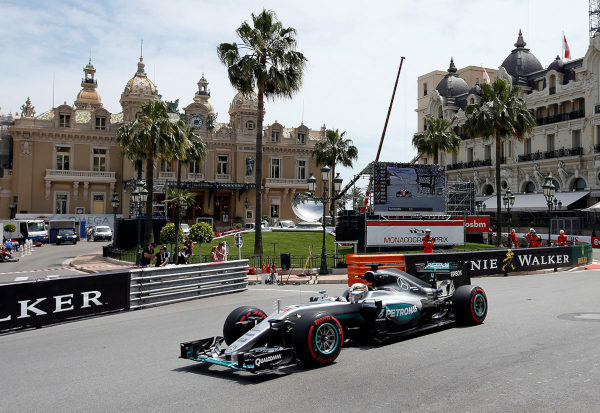 With great bars and restaurants in the old town, and sights like the harbour and the Promenade de Anglais, it can be a welcome contrast for anyone not looking to totally immerse themselves in Formula 1 for the weekend. As one of the hottest dates on the Fl calendar, tickets are in high demand. 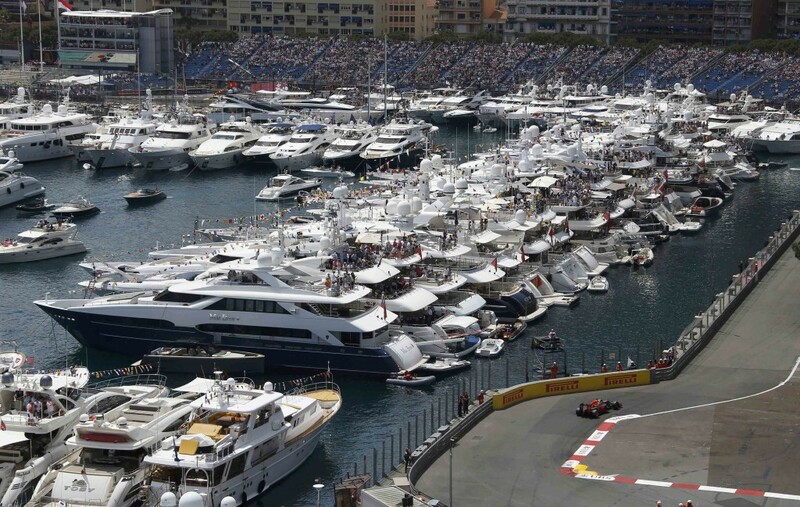 Our Monaco GP packages provide tickets at every level for practice, qualifying and the Grand Prix itself. Meaning we can curate the perfect package for those who just want to see the Grand Prix, and for the fans who also want to see every minute of the build up to race day. As an official distributor, we can also provide tickets for the exclusive Formula One Paddock club, where you’ll get to rub shoulders with acing celebrities and experience Monaco band Prix hospitality at its finest. With everything that’s on offer, and so much to experience in such short space of time – not to mention a Grand Prix to watch, it can be difficult to cram it all in. Which is where our hospitality packages come into their own. We take care of organising your entire weekend for you, making sure you get to enjoy every aspect of one of the best sporting events of the year. With a choice of luxury hotels and apartments, VIP hospitality options aboard yachts and at venues with the best vantage points, and of course tickets to the Grand Prix itself, everything is taken care of – all you and your guests have to do is enjoy the experience of a lifetime. See the weekends racing live from the comfort of your reserved Fairmont Stadium Seat in the specially constructed Fairmont rooftop grandstand. From this prime position you can enjoy unobstructed views over the Fairmont Hairpin which is known for its ‘thrills and spills.’ A giant screen located adjacent to the terrace will ensure you don’t miss any of the action elsewhere around the circuit. A fine buffet lunch is served in the roof-top Horizon restaurant located next door to the grandstand whilst an open bar is in operation directly behind the grandstand including wines, spirits and other drinks. Once the days racing has finished, you are welcomed to stay on the rooftop and enjoy the Nikki Beach after-party. Ermanno Palace is in one of the best locations in Monaco with breath-taking views over more than half of the track. 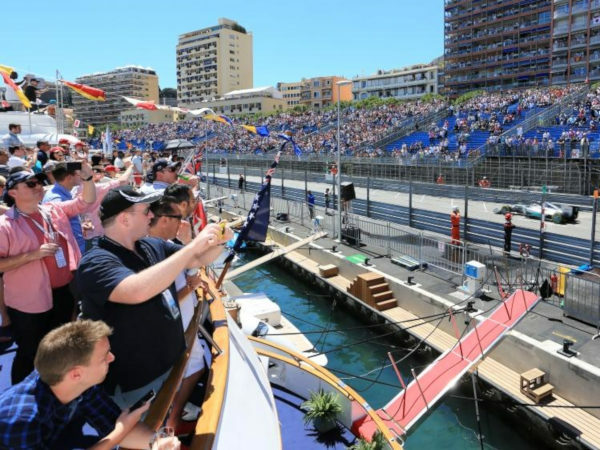 From its private race viewing terrace you will enjoy views of the tunnel exit, Chicane, Tabac Corner, swimming pool section, start/finish straight, Sainte Devote Corner, Beau Rivage climb and the giant harbour screen – as well as breath-taking view of the harbour itself. You will also have access to a full day of first-class hospitality including a sumptuous buffet luncheon and an open bar of Champagne selected spirits, wines and beers. Enjoy the most amazing race on the calendar from a fabulous tri-deck yacht. The comfort of these spacious decks is the perfect way of watching the action of the race whilst soaking up the electric atmosphere. You will be transferred from Fontvieille Harbour by tender into Monaco Harbour to board the yacht. You will be served a light breakfast followed by a Grand Prix buffet luncheon on board upon arrival and afternoon tea. Once on board the Champagne will flow as the action unfolds. 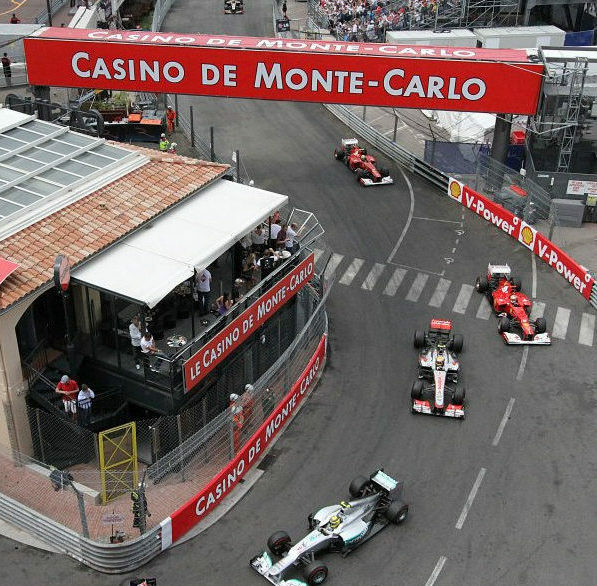 La Rascasse is the legendary bar located at the last corner of the Monaco Grand Prix track. Famous for its party’s atmosphere and relaxed hospitality there is no better place to be over the race weekend. 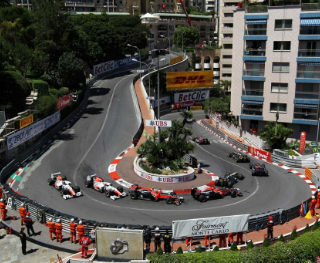 La Rascasse offers incredible views of the track, watch as the cars exit the swimming pool section and race directly towards Rascasse before encircling the building just meters away. You cannot find yourself any closer to the action! From the first-floor viewing balconies you will be able to look down in to the cockpit of the cars. Also, being located between the F1™ pit-lane and paddock you get an insight into what is going on behind the scenes with the teams and every F1 driver walking passed you to get to their car before the race! Enjoy full hospitality with champagne, fines wines, spirits and other drinks being served from 11am until the end of the racing schedule. Upon arrival light breakfast snacks are served followed by a full buffet luncheon. Gather at an exclusive drinks’ reception on the Friday evening 24th May to meet some of the F1 drivers, past and present. This is the perfect opportunity to meet the drivers and ask any questions you may have. 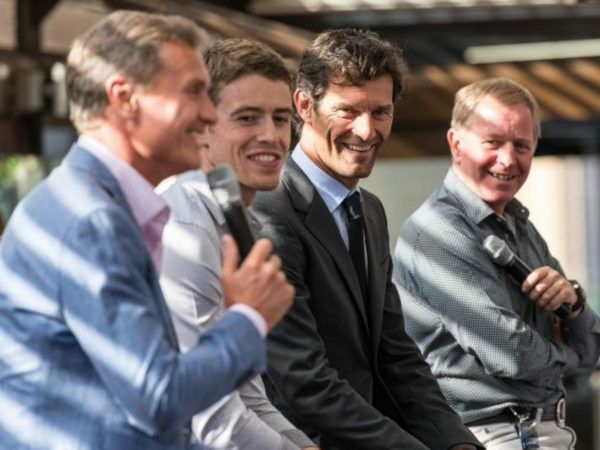 The line-up for 2018 was Mark Webber, David Coulthard, Martin Brundle, Paul di Resta & Allan McNish and the 2019 line up is expected to be as promising! The event lasts just over an hour and includes drinks and canapés. Mark Webber – ex-F1 driver for Red Bull & currently competing as a Porscheworks driver in LMP1. He finished his F1 career with 9 wins, 42 podiums and 13 pole positions. David Coulthard – ex-F1 driver & BBC commentator. F1 driver with Williams, McLaren & Red Bull. 13 F1 victories with 62 podiums. Martin Brundle – ex-F1 driver & SKY TV commentator. F1 driver with Tyrrell, Williams, Brabham, Benetton, McLaren & Jordan. Over 150 F1 races with 10 podium finishes. Paul di Resta – F1 driver for Force India in 2013 season. F1 driver with Force India with over 50 F1 races. DTM champion 2010. Allan McNish – ex-F1 Driver, Le Mans winner & an Official F1 race steward. F1 driver with Toyota. Three-time 24h Le Mans winner & Three-time American Le Mans Series Champion. Allan has recently been appointed part of the BBC commentary team for 2014. 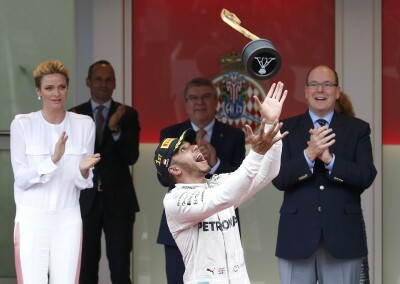 The Monaco Grand Prix is special. For a start, the race takes place on the streets of Monaco, not on a purpose-built circuit. It’s not the only street circuit on the calendar, but it is the oldest, hosting a Grand Prix every year since 1929, and having been part of the Formula 1 World Championship since 1950. The other two street circuits in the Azerbaijan capital of Baku and Singapore are both relative newcomers, having held their first F1 Grand Prix in 2016 and 2008 respectively. If gambling’s not for you, or if you fancy something a bit more sophisticated, the Opera de Monte Carlo offers a variety of performances during the summer. And for a memorable dining experience, you can enjoy dinner at the Café de Paris, one of the most popular places to eat and be seen on the Riviera. The entertainment doesn’t stop when the day’s racing is finished either. The Monaco nightlife during the Grand Prix weekend is something that has to be experienced to be believed, and almost as good a reason to visit as the motor racing. From pop-up bars around the circuit, to parties onboard the biggest yachts in the harbour, you won’t be disappointed. If you’re looking for something a little slower pace, Nice is only a 20 minute train ride away, and the perfect place to enjoy some time away form the Grand Prix build up, or as a base for your weekend. 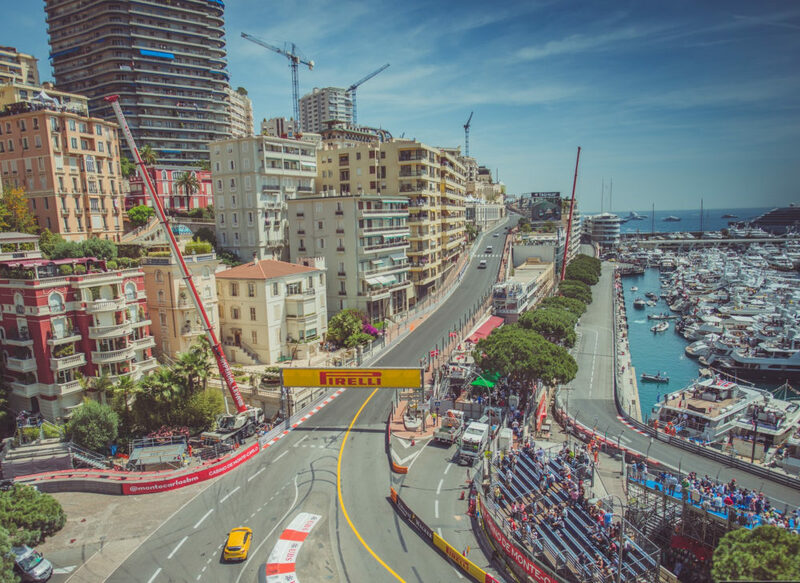 With great bars and restaurants in the old town, and sights like the harbour and the Promenade de Anglais, it can be a welcome contrast for anyone not looking to totally immerse themselves in Formula 1 for the weekend. As one of the hottest dates on the F1 calendar, tickets are in high demand. Our Monaco GP packages provide tickets at every level for practice, qualifying and the Grand Prix itself. Meaning we can curate the perfect package for those who just want to see the Grand Prix, and for the fans who also want to see every minute of the build up to race day. As an official distributor, we can also provide tickets for the exclusive Formula One Paddock club, where you’ll get to rub shoulders with racing celebrities and experience Monaco Grand Prix hospitality at its finest. Whether it’s your first time going to the GP or if you’re planning a return trip and want the very best Monaco Grand Prix hospitality, you can get more information by taking a look at our current Monaco F1 packages and Paddock Club options shown below. Alternatively, get in touch by filling out the callback request form, or call our offices to speak to one of our friendly, experienced team, who’ll help you organise every aspect of your Monaco Grand Prix package experience.